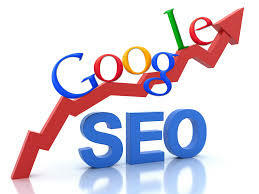 Moreover, in the highly competitive world of SEO, everyone wants to reach the top. The top search engine rankings, that is. We listen to your business’s goals and then translate them into a customized SEO strategy. Success is dependent on a broad range of factors, including Keyword research Content creation and On-page optimization. As an Internet marketing strategy, Search Engine Optimization considers how search engines work, the computer programmed algorithms, what people search for, the actual search terms and keywords typed into search engines. Optimizing a website may involve editing its content, adding content, doing HTML, and associated coding to both increase its relevance to specific keywords and to remove barriers to the indexing activities of search engines. Over a decade of online marketing and Search Engine Optimization experience has qualified us to dominate search engine results. Our strategy has been tested and refined across a diverse clientele. We will perform a comprehensive, in-depth review of your website in order to develop a custom SEO campaign. Then it is time for action, we implement changes that will significantly improve search engine relevancy. We work with start-up companies and medium-sized businesses. Our Founder has over 15 years of experience in Search Engine Optimization and has provided SEO consulting services as well as an in-house SEO for companies like the March of Dimes.